Harry Wilson hit the crossbar late on for the Rams. Derby County extended their unbeaten run to three games with a stalemate at home to Stoke City on Wednesday night. The game promised much in a lively first quarter but then faded away to become a midfield battle with few chances, although the woodwork was struck three times as both sides came so near yet so far to a winner. 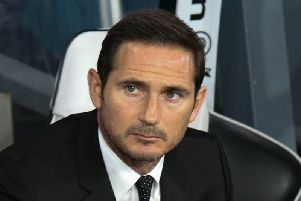 The plus for Derby was a welcome clean sheet, their first for eight games, but their inability to break the Potters down will have frustrated Frank Lampard who was keen to go into a two-and-a-half week break from matches with three points in the bag that on balance they deserved. 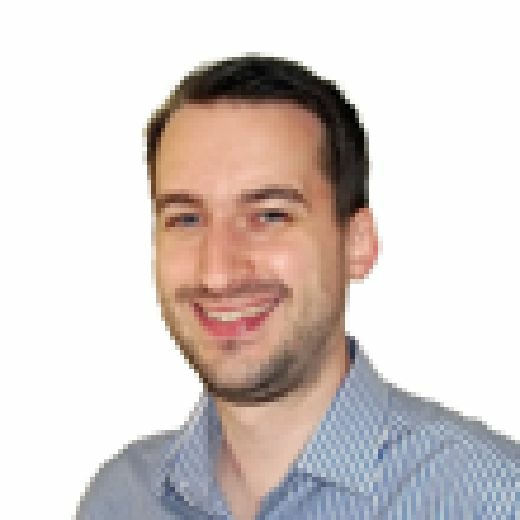 Stoke were far happier with the point but with the undoubted talent they have in their squad it remains a mystery as to why they sit in mid-table obscurity rather than being up with the Rams in the play-off push. 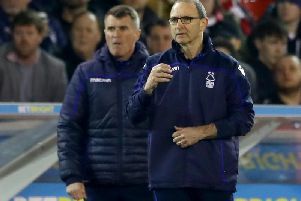 They ultimately offered little other than a James McClean header that struck the post in the second-half, the Rams striking the woodwork twice themselves. The hosts started the brighter of the two sides and seven minutes in came close to an opener as the ball broke to Tom Huddlestone 25 yards out and his low volley was superbly pushed away by Jack Butland in the Stoke goal. Tom Ince then saw a shot deflected just wide at the other end as the visitors began to get a hold on the game. The Rams responded, Duane Holmes being sent free but having a shot from an angle saved by Butland, then route one saw the keeper's clearance after collecting a corner find Ince but he could only shoot weakly wide having turned Scott Malone who was the only Rams player back. The hosts came even closer when a Harry Wilson free-kick was cleared as far as Holmes whose controlled half volley came back off a post and Wilson was unable to convert the rebound. Chances then dried up as the game became more to-and-fro between the final thirds rather than the action happening in them, Stoke losing striker Benik Afobe on the stroke of half-time as he pulled up racing for the ball with Fikayo Tomori, to be replaced by Mame Diouf. Bradley Johnson was first to show in the second-half as his low 25-yarder on 56 minutes was just wide of the statuesque Butland's left-hand post, Malone going close with a similar effort nine minutes later after a short corner. It was then Stoke's turn to rattle the post as Tom Edwards' cross from the right was met by McClean's header eight yards out and it rattled the upright and went to safety. Wilson's shot was deflected into Butland's hands after Stoke had gifted possession to the Rams 35 yards out, neither side able to keep the ball for long as possession continually changed hands. The Rams nearly won it at the end. Young sub Jayden Mitchell-Lawson was brought down right on the edge of the penalty area as the game entered stoppage time, but Wilson's powerful free-kick clattered the crossbar on its way into the fans behind the goal, and the game would end with neither side having been able to breakthrough.